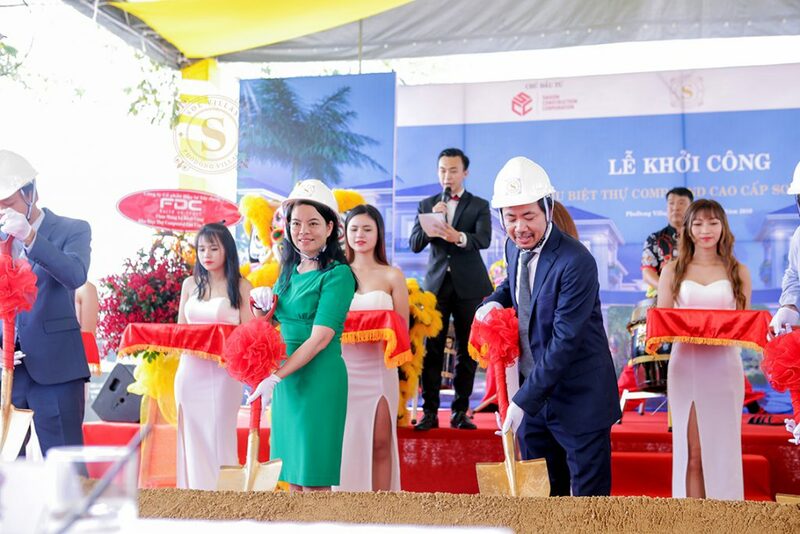 On July 20th 2018, Saigon Construction Corporation (SCC) officially kicked off the construction of the luxury compound Sol Villas. 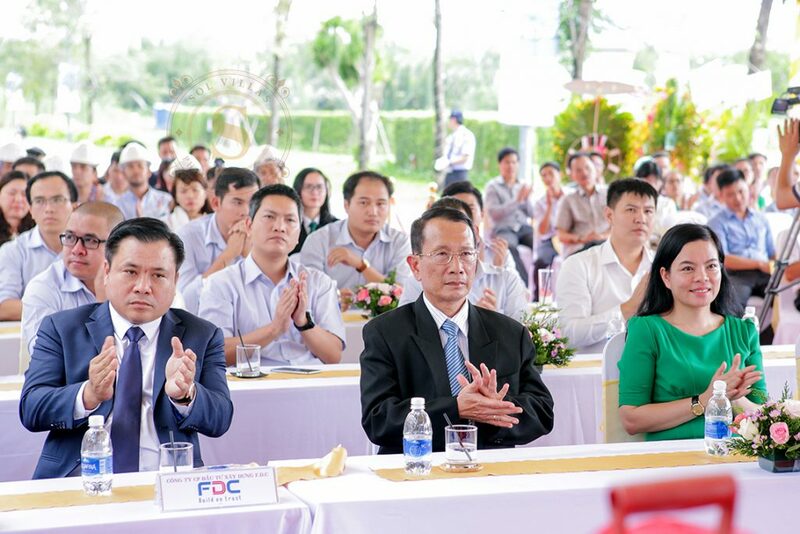 SCC’s partner for realizing the drawings is F.D.C Investment Construction Joint Stock Company, a member of Coteccons Group – Top 10 prestigious Construction Contractors of 2018 voted by Vietnam Report. With many advantages, Sol Villas has achieved almost 100% of successful transactions in the first sales in May 05th 2018. 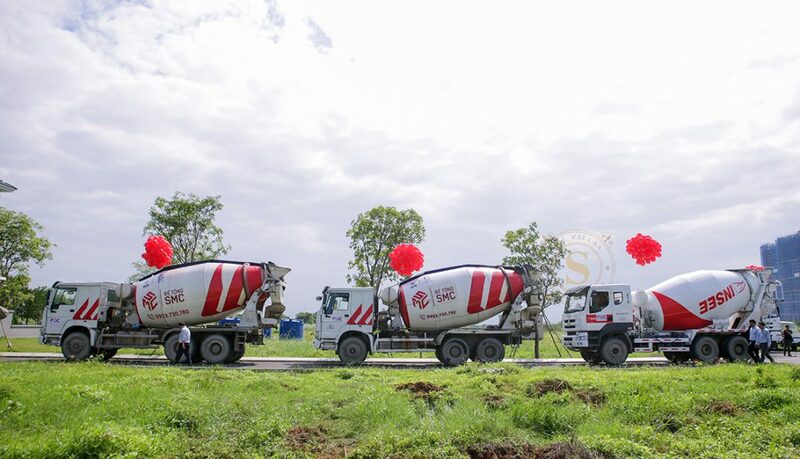 In response to our customers’ belief, SCC is very caring in choosing the partners as it is one of the prerequisites that affect the quality of Sol Villas as well as the commitment of SCC to buyers. F.D.C Investment Construction Joint Stock Company (member of Coteccons Group) is a prestigious corporation in the field of construction with a variety of types of projects, from the commercial center project, luxury apartments to infrastructure projects, office buildings, factories … The cooperation with F.D.C has ensured the quality of Sol Villas, contributing to the value and position of Sol Villas in the segment of luxury real estate. 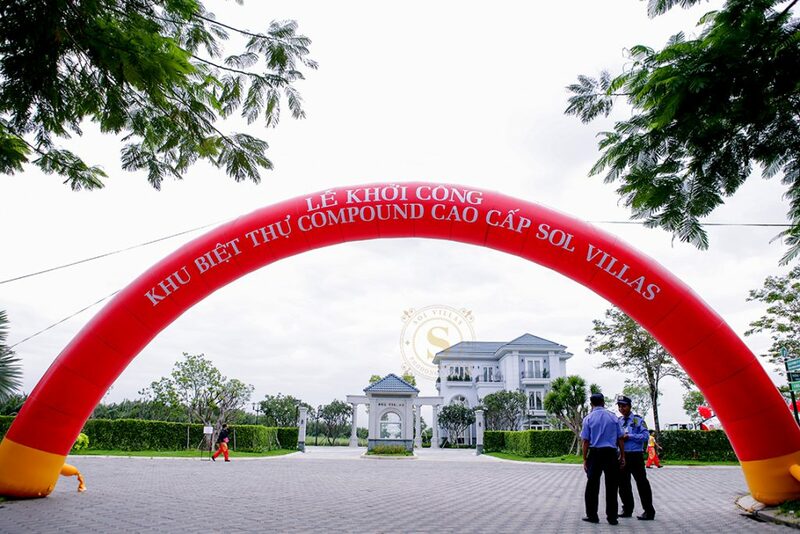 The preparation of the ground-breaking ceremony for the luxury compound Sol Villas is ready. 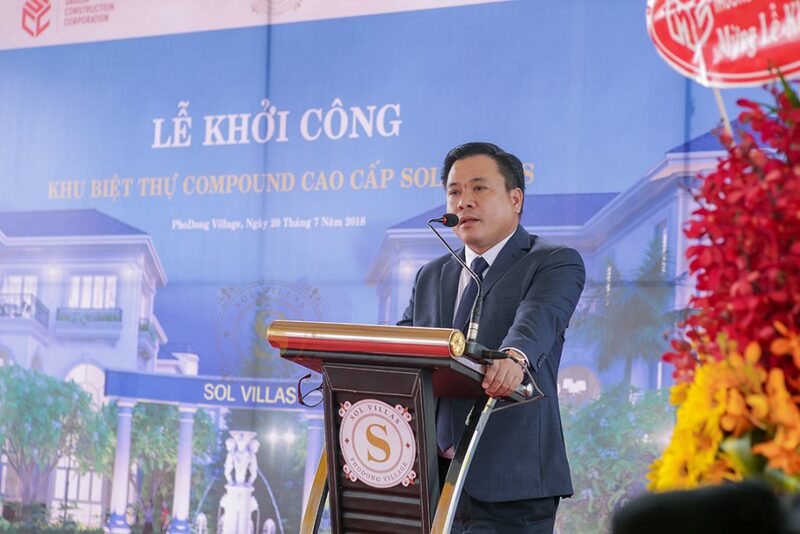 The ground-breaking ceremony for the luxury compound Sol Villas welcomed the presence of representatives of local authorities and prestigious partners of SCC. 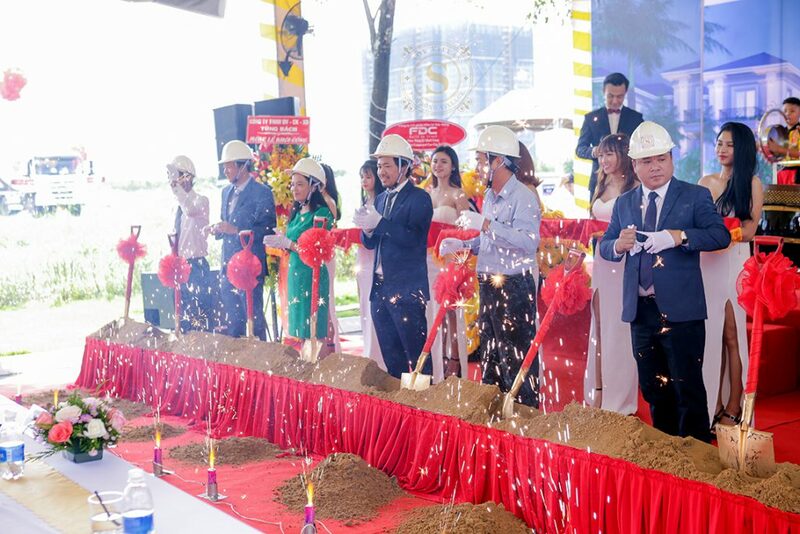 Mr. Tran Viet Anh – a member of the Board of Management and General Director of SCC, said at the ground-breaking ceremony that the company would mobilize all resources, complete the project on schedule, ensure quality, safety and efficiency both technical requirements and fine art. 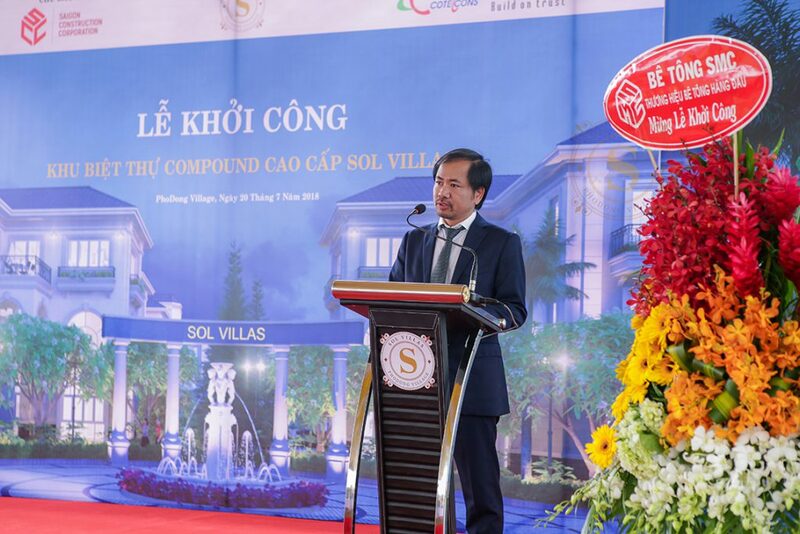 Mr. Tran Kim Long – General Director of F.D.C Investment Construction Joint Stock Company – a member of Coteccons Group committed to complete the luxury compound Sol Villas on schedule with the best quality finishing. 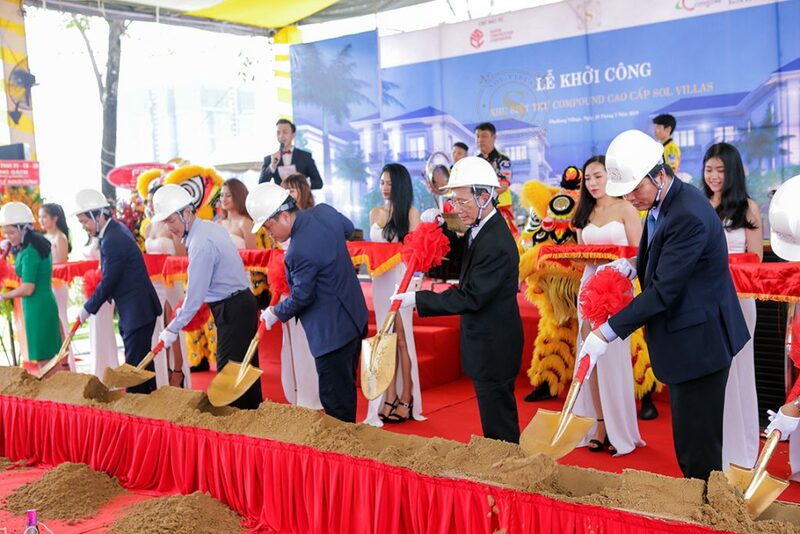 The Board of Directors of SCC and its partners undertook the ground-breaking ceremony of the luxury compound Sol Villas.